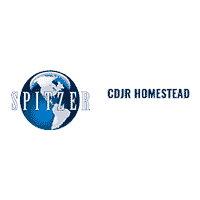 Thank you for visiting the online showroom of Spitzer Chrysler Dodge Jeep Ram Homestead. We’re a premier Chrysler Dodge Jeep Ram dealer near Miami, Kendall, and Pembroke Pines and we are pleased to offer you great pricing on a wide range of popular models. Use the sidebar below to browse by make, model, body type, features, and more. When you find the vehicles you’re interested in, whether it’s a Dodge Charger, Jeep Compass, or Ram 1500 truck give us a call! Our friendly sales team will be happy to talk you through your finance options and schedule you a test drive. And don’t forget to check out our current specials and lease deals for each vehicle. We look forward to seeing you. The best way to know if that new Jeep Wrangler, Dodge Challenger, or Chrysler Pacifica on our Homestead, FL lot is for you is to get behind the wheel. Make an appointment with Spitzer Chrysler Dodge Jeep Ram Homestead, and one of our sales team will get you set up with a test drive today. Our dealership is conveniently located near Miami, Kendall, and Pembroke Pines. We look forward to your visit! Miami, Kendall, and Pembroke Pines drivers know that regular maintenance and repair services are essential for keeping their Chrysler, Dodge, Jeep, and Ram vehicles running smoothly. That’s why they bring their cars to the service center at Spitzer Chrysler Dodge Jeep Ram Homestead. From brakes to bumpers, we’ve got you covered. Schedule service over the phone or online today, and be sure to look over our current service specials to get the best value.